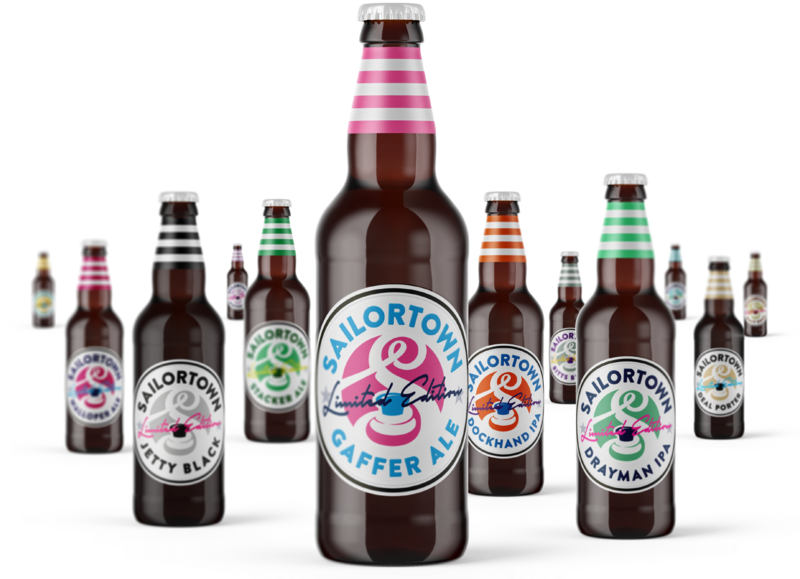 As well as brewing our classic 'LUMPER LAGER', AT SAILORTOWN we LIKE TO PUSH THE BOAT OUT WITH BREWING BOUNDARIES AND TECHNIQUES. WE ARE TIRELESSLY EXPERIMENTING, EXPLORING AND CREATING LIMITED EDITIONS THaT CAPTURE THE imagination AND enthusiasm OF OUR 'BEER aficionados'. BUT PLEASE BEAR IN MIND - THEY ARE CALLED 'LIMITED' FOR A REASON, SO WHEN THEY'RE GONE, THEY'RE GONE.